McDonald’s stock has risen 39% over the last year. The S&P 500 is down 1% over the same time period. These are not the excellent results one would expect from a well-established business in a ‘boring’ industry. McDonald’s is not a trendy investment. The company has been serving cheap fast food since 1955. The company may not be trendy – but it does have a long history of success. Case-in-point: McDonald’s has paid increasing dividends every year for 39 consecutive years. This makes McDonald’s one of only 50 Dividend Aristocrats – stocks with 25+ years of dividend increases without a reduction. Click here to see all 50 Dividend Aristocrats. McDonald’s posted excellent 4th quarter results. The company saw global comparable store sales grow 5%. Earnings-per-share grew 16%. Excluding the effects of currency changes, earnings-per-share grew 26%. The company’s growth is a result of recovering from bad PR in Japan and China from the previous year. McDonald’s suffered from a tainted meat scandal as well as someone finding a human tooth in their food in these regions. In the United States, McDonald’s saw rising comparable store sales thanks to its move toward all day breakfast. 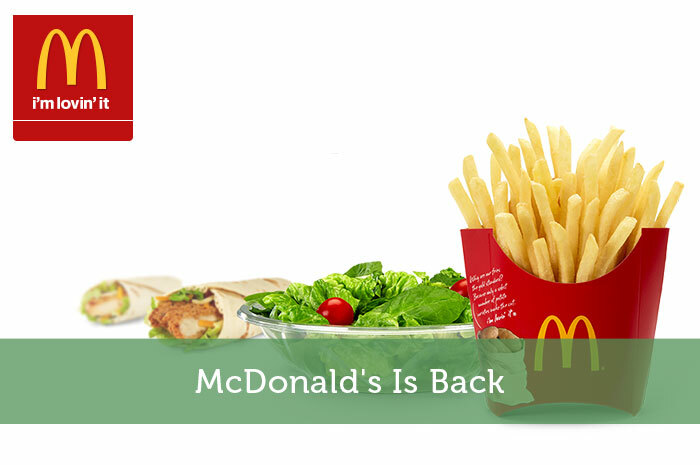 In addition, McDonald’s is focusing on increasing margins by refranchising more of its stores. The company’s goal is to have 95% of its stores franchised, up from 80% currently. Refranchising efforts combined with streamlining the company’s operations are targeted to provide net annual savings of $500 million per year by 2017. McDonald’s goal is to return $30 billion to shareholders through dividends and share repurchases through 2016. The company will return around $14 billion to shareholders in 2016 to hit its goal. Much of this will be funded through low-cost debt financing. To put this $14 billion number into perspective, it is 12% of the company’s current market cap. McDonald’s current CEO Steve Easterbrook began leading the company in March of 2015. His time as CEO has already led to a renewed focus on quality, cost cutting, and returning capital to shareholders. These factors (culminating in rising earnings-per-share) have driven McDonald’s surging share price. McDonald’s stock generated total returns of 55.9% for shareholders from 2007 through 2009 during the Great Recession. The S&P 500 had total returns of negative 15.9%. McDonald’s stock outperformed the S&P 500 by over 70 percentage points over this 3 year period. McDonald’s is one of the most recession resistant Dividend Aristocrats. The company’s performance over the Great Recession of 2007 to 2009 is nothing short of remarkable. The reason McDonald’s performs so well through recessions is because the company sells low priced food. When times are tough, people often substitute down. Someone who would normally dine at a more expensive restaurant may opt to eat at McDonald’s instead to save money. McDonald’s reputation for low prices is what drives excellent recession results. There’s no denying McDonald’s is a shareholder friendly corporation with a well-known brand. Unfortunately, the market has taken notice of McDonald’s recent success. The company is currently trading for a price-to-earnings ratio of 25.9. McDonald’s appears somewhat overvalued at current prices. The company’s historical average price-to-earnings ratio over the last decade is around 17. As a result of its current overvalued status, McDonald’s is ranked as a hold using The 8 Rules of Dividend Investing. When McDonald’s price-to-earnings ratio declines again, it will make an excellent holding for long-term dividend growth investors. Disclosure: I am long McDonald’s at the time of this writing.